Agathosma ovata (Rutaceae) It is a compact, evergreen shrub growing to a height of 500mm and spread of 600mm. 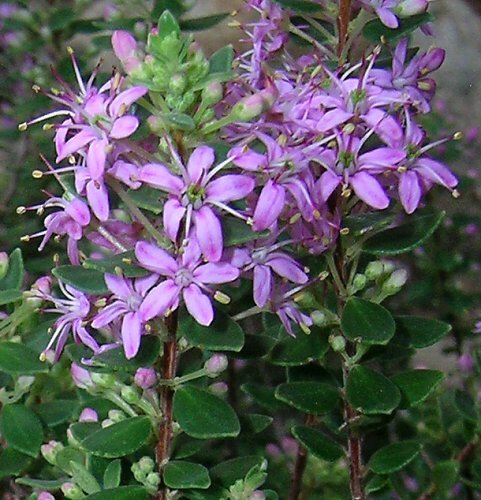 Showy display of dark pink flowers cover the bush from mid autumn to early spring. Sowing : Sow seeds in summer. Locality : Grahamstown. Date of harvest : November 2018.